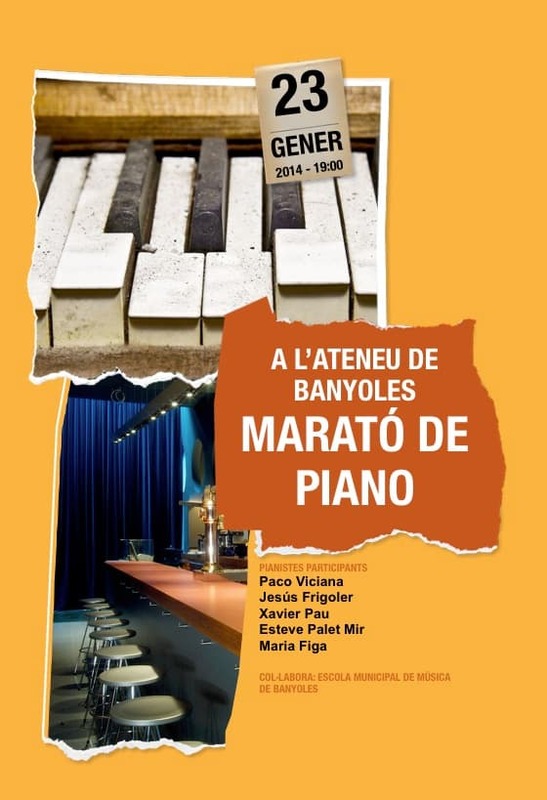 Concert premiered on January 23, 2014 at Musical Bar l'Ateneu of Banyoles (Girona). Most mortals take between three and four hours to march a marathon. This is the duration that also will have this piano marathon which hosts l'Ateneo for inaugurating the piano bar which has now. More than three hours in which we can hear different pianists, of Banyoles of origin or adoption, playing different styles and repertoires. Each performer will play fifteen minutes and interventions will be happening every half an hour. 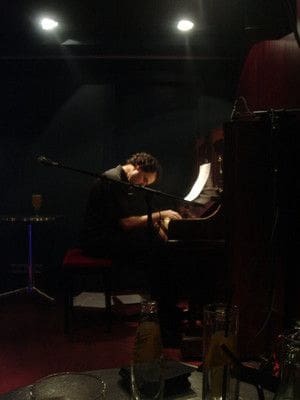 A good way to test this old but reliable Yamaha Piano installed on the stage of the Ateneu Bar and that it is a gentle transfer of the Barcelona Jazz Orchestra.